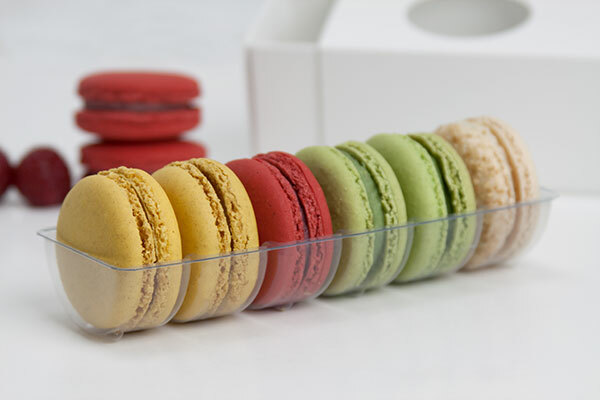 Perfectly position your macarons within any one of our six inch macaron boxes using these macaron trays. Made from recycled plastic bottles, these food safe macaron inserts were designed by us and made by a partner of ours, right here in the USA. You get 100 trays in a case. If you want to secure your macarons for shipping, you can take two trays and stack them one on top of the other for a secure shipping solution. Two trays in tandem fit nice and snug inside your macaron boxes. Inserts I had ordered from another company had been on backorder for months, and these fit the boxes I had perfectly. They are a great size for macarons. From registering my account to clicking the submit order button, my experience with brbboxshop was a breeze! High quality product, competitive pricing, and arrived on schedule. Thank you! Very good quality inserts and very fast shipping. I am new at BRPboxshop and I will buy again from them. Also affordable prices. All good ! Thanks ! Perfect size, quick shipping & exactly what I needed. Can't wait to order more stuff! Sturdy inserts. Nice for packaging macarons. 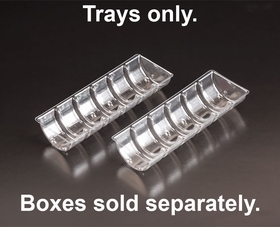 these trays are great, I have been using them all the time. But are the plastic trays ok in the freezer for up to 6 weeks. Macarons freeze really well for up to 6 weeks. Hi Sue, These trays are not spec'd for freezer use. 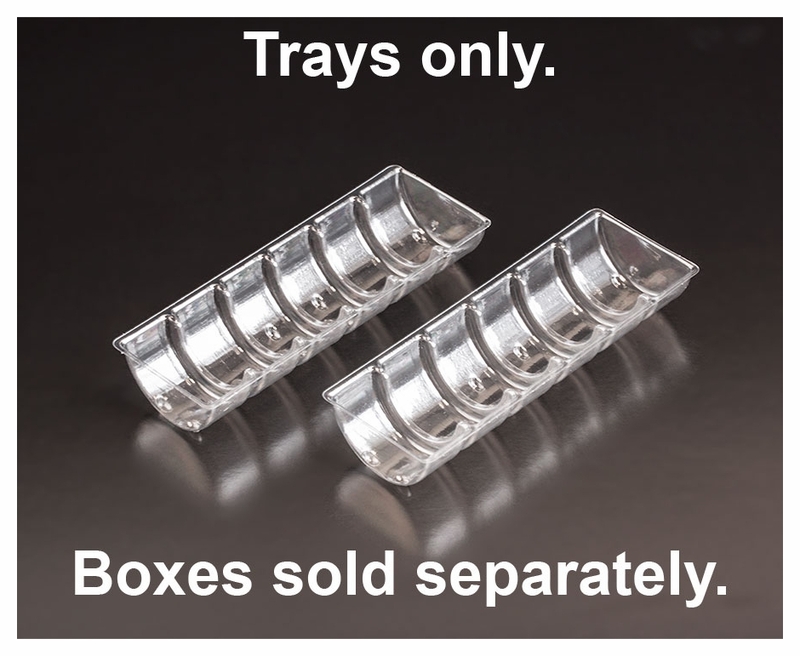 Can the clear trays be used with the cardboard sleeves alone or do I need the box bottom as well as the tray? I assume the tray fits in the boxes? Thanks!